He has played a gangster, a criminal, and even an underworld don on screen. Now, he is back with another intense and badass role but this time for a first original web content. 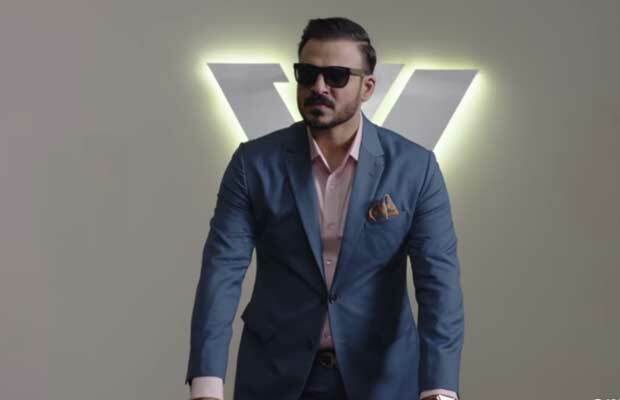 Farhan Akhtar’s debut web series, Inside Edge, set against the backdrop of league cricket, see Vivek Oberoi playing a businessman named Vikram Dhawan — a character Vivek is fascinated to essay. In an exclusive interview with Business Of Cinema.com, Vivek spoke about being a part of something new and much more. The actor, who has been appreciated for his negative roles, shared that it was never a mindful decision by him to portray grey characters but does it only if he finds them interesting. I feel amazing and fantastic of being a part of something huge. It’s great to be a primary mover. The first person to jump from the mainstream to the Amazon’s web series in India. That will be going global from here. The fact that any movie we make doesn’t show into 200+ territories but this is for the first time that Indian content is being made with Indian actors and producers, directors to go global. More than 200+ territories will be able to watch the content. That’s exciting me a lot. The fact that on all social media platform, every single day I am getting fantastic feedbacks. Thanks to the whole bunch of cool youth who is excited to see this Inside Edge. To me, I love characters which are interesting, fascinating and creating impact. Vikram Dhawan is one such character. He is master of his universe and in his universe power is the drug. He wants to keep control, keep power above everything and in his hand all the time. And he created this whole world of match-fixing and to win in his game and game behind the game, he will do anything. It was a really very exciting character. Every time when Vikram Dhawan does something at the top, it affects the lives of everybody like all the other characters you will be seeing in the series. What his journey is through that I loved it and is worth watching. He further added on choosing his roles, “I like to do different stuff, innovative, keep doing something different as long as it is interesting. For me that’s fascinating. People say you do grey shade or negative or positive, but I don’t look at the characters like this. For me, characters are only two- interesting or boring. On bringing dark side of Cricket is a tricky, complicated issue? Not at all! Because the world is real but the people are fictional. So it’s not real people but the world is real. Everything that we have learned from the research point of view, police cases on betting rackets or investigations on match fixing, everything that we have learned from that, we have incorporated in this world. So the world is only real. It’s a new medium. It has great access and great reach. It is creating a new wave in entertainment. If you are being allowed to create new and original content then you will traditionally be able to do in films, web series. It is great because are you are able to reach the far greater number of people. Previous articleInterview: Richa Chadha On Working With Vivek Oberoi, Inside Edge And Much More! Next articlePhotos: Salman Khan With Alleged Girlfriend Iulia Vantur And Others At Baba Siddique’s Iftar Party!